Our host, Pieter Dom, made a snazzy Facebook mobile app for making Tulpa profile pictures of ourselves. It's on the front page of this site - Everyone see that? Tried it? 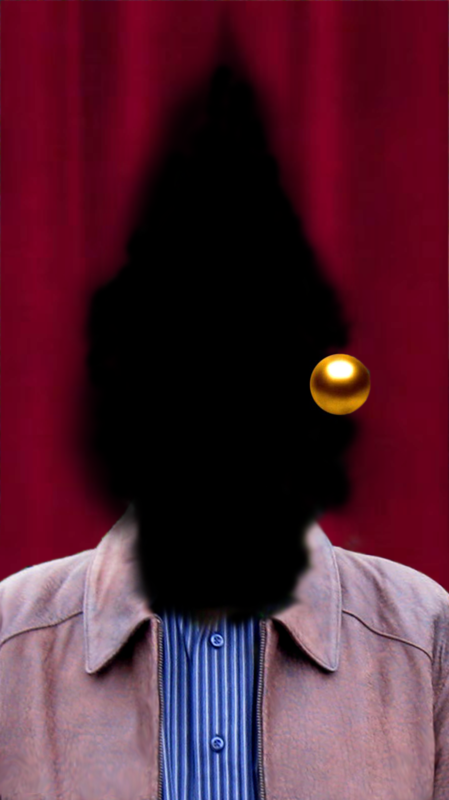 Here's mine - I used Pieter's app on a photo of myself, and combined that with the screenshot of the Dougie Tulpa in PhotoShop so I could get the real red curtains behind me. Hope to see more Tulpas from forum members!